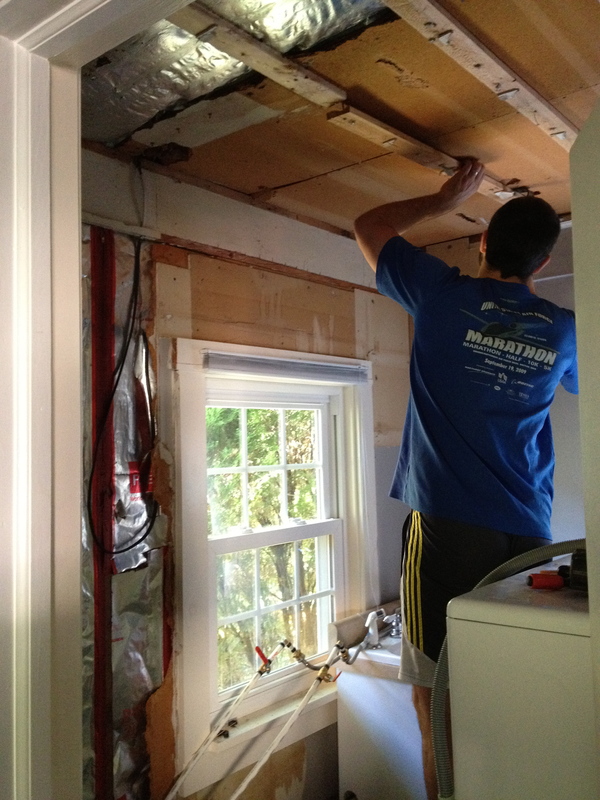 So…a couple days ago, Andrew decided to demolish our almost-perfectly-good-laundry room. Took it right down to the studs. In his defense, it really was the right thing to do, at the right time–which just happened to be an inconvenient time. 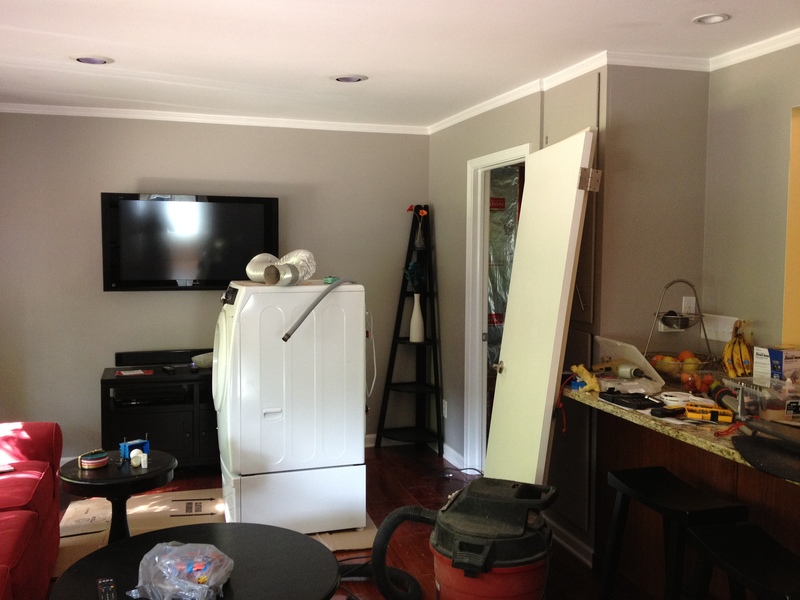 Ideally, it would have been great to use the laundry room as-is until we side the house, THEN begin giant laundry room remodel project. However, I haven’t been able to actually DO any laundry, because we have an electric dryer and the hook-up is for gas. We had an electrician come at the end of last week to install a plug for us, and his inability to fix the problem that day (turns out that directly below the laundry room is a walled-off area in the basement which prevented him from working) was a blessing in disguise. Andrew started poking around in the laundry room, and the more he saw, the more he disliked. 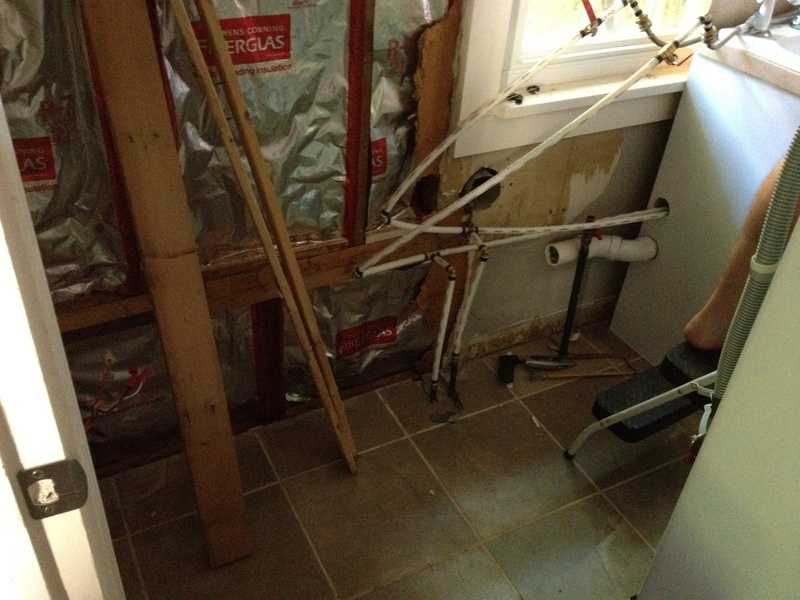 It was full of shoddy construction, cruddy built-in cabinets and it was super cramped. We’d thought of taking the door out before (hence waiting until we side the house) to make more room in there, but shelved the idea for now in favor of getting laundry capability sooner rather than later. Well, it was now-or-never on the laundry room re-d0, and I chose to lose my door (there are three OTHER doors to use to get into the house) and my utility sink (sad, but I have one in the basement, so I can’t complain too much), in favor of getting A TON more space and changing the set-up from a galley-style, narrow room to a more square version. Andrew has taken almost all the drywall down and has to do all the plumbing and electrical work (putting it all inside the wall rather than outside, like it was before), before he can put up new drywall. I won’t have laundry for a little while, but it’ll be worth it in the end to have a roomy workspace and not feel claustrophobic every time I go in there! 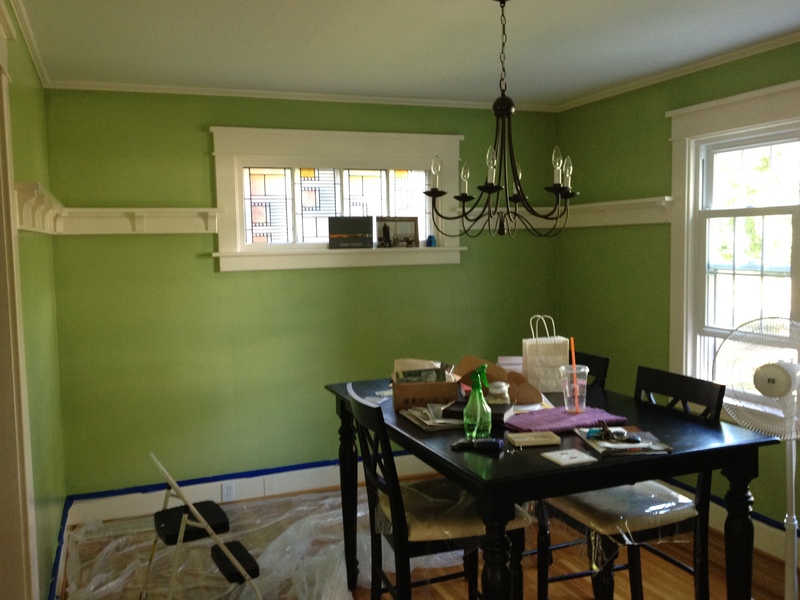 I have extra paint from the kitchen, entryway and dining room, so I’m sure I’ll use some of that to paint in there and make it bright and happy. There is even enough room for a small cart for some extra storage since we won’t be putting up cabinets. The blue tape shows where a window will be (yay for natural light! 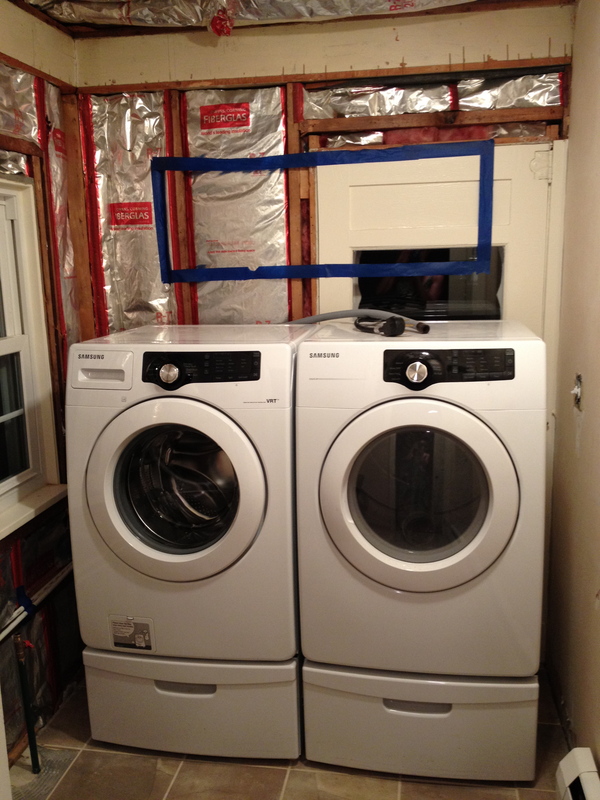 ), and I’ll have a bar going the length of the room on which I can hang clothes that don’t go in the dryer. In paint-scraping hell, that’s where. 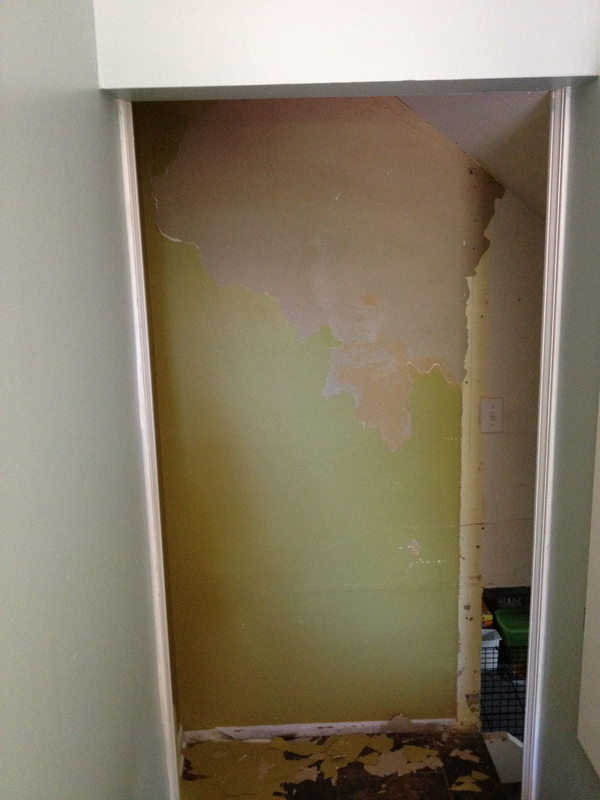 In an effort to finish the entryway painting project, I started sanding an area on the wall below (plaster, not drywall) where some paint had peeled off when Andrew took the doorframe off to get the fridge and freezer downstairs. Well, I wasn’t getting anywhere fast with the sanding block, and the paint had been coming off in giant pieces, kinda like wallpaper without any adhesive, so I figured maybe I should just scrape it all off and start fresh. 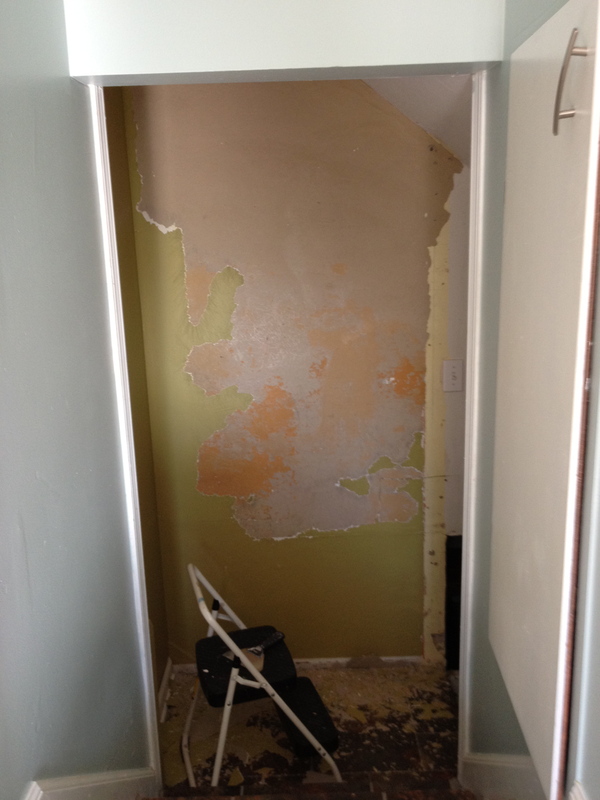 It seemed like a more ‘thorough’ wall preparation before painting, anyway, so scrape I did. It started well, with giant swathes falling to the ground. And then it stopped. Just in case you were wondering, I was at it for about four hours. FOUR HOURS. I did, momentarily, ask myself (out loud, probably), if I would regret scraping after it was too late to turn back. I should have listened to myself. I tried to get a little more done before we went to bed last night, but by then my hand was red and sore and the near paralysis in my left/neck I woke up with that morning was growing more irritated, so I called it quits again and went to bed cranky. In other news, I cooked dinner for the first time in the new place! I wish I could say we had a pseudo-relaxing meal out on our back deck, but after an afternoon of scraping, followed by a 30-minute dinner delay for Andrew to get the stove pushed back in the right spot (mom and I had pulled it out a few inches to paint, and apparently gas ranges are tricky to get back right without disconnecting anything–who knew?) and then a short (but heated!) tiff about where we were going to eat dinner (dining room or kitchen counter), it was a miracle we made it through the meal alive. 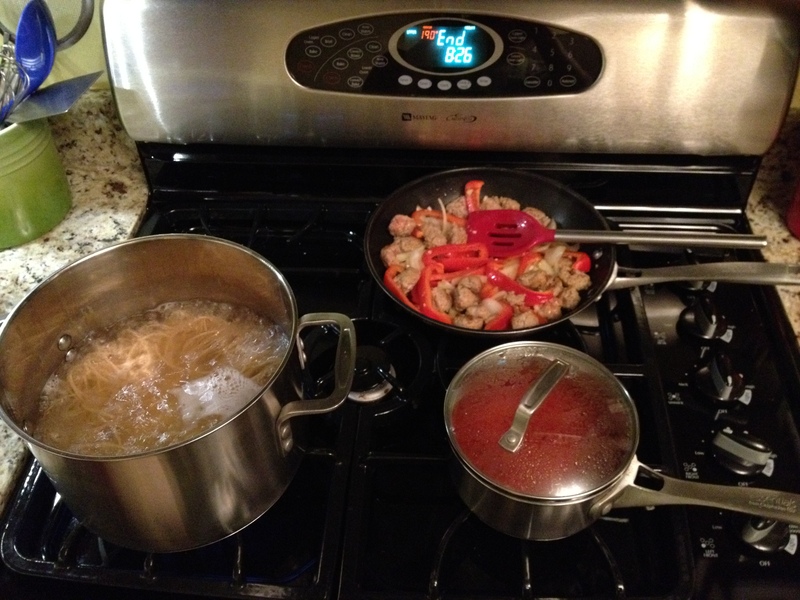 Knowing I needed something super easy, I went with spaghetti but made it Andrew’s favorite: sauteed peppers and onions with spicy italian sausage. Served with salad and bread. This baby. Terrible picture–darn under-cabinet lighting. 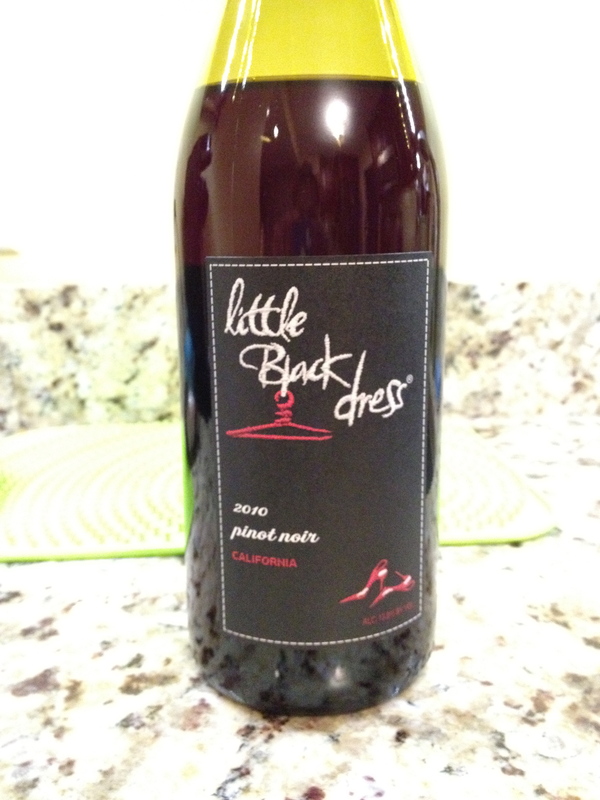 It’s a light and fruity red that isn’t very dry at all; very drinkable for those who are still getting into reds. Definitely going to remember this one–and SUPER cheap. Here’s hoping today is better! I’m taking a break from scraping until we get a better tool tonight, so I’ll be filling my time today with unpacking “my” office (the extra/craft/storage/school/one-day-will-be-a-baby’s-room), finishing up the guest room paint job and lots of computering that’s been put off dangerously long. Before and after pictures of the kitchen (waiting on new faucet! 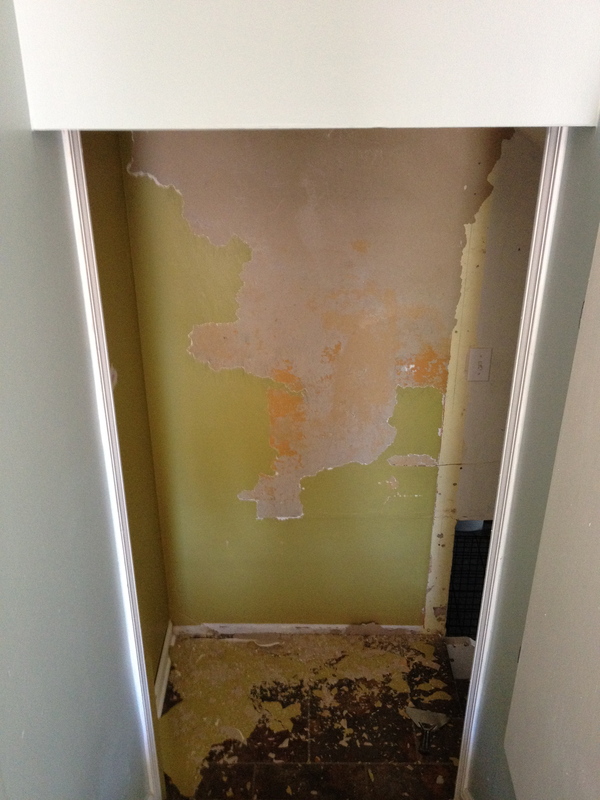 ), guest (only needs ceiling paint) and entry (the wall scraping debacle delayed this) are forthcoming!